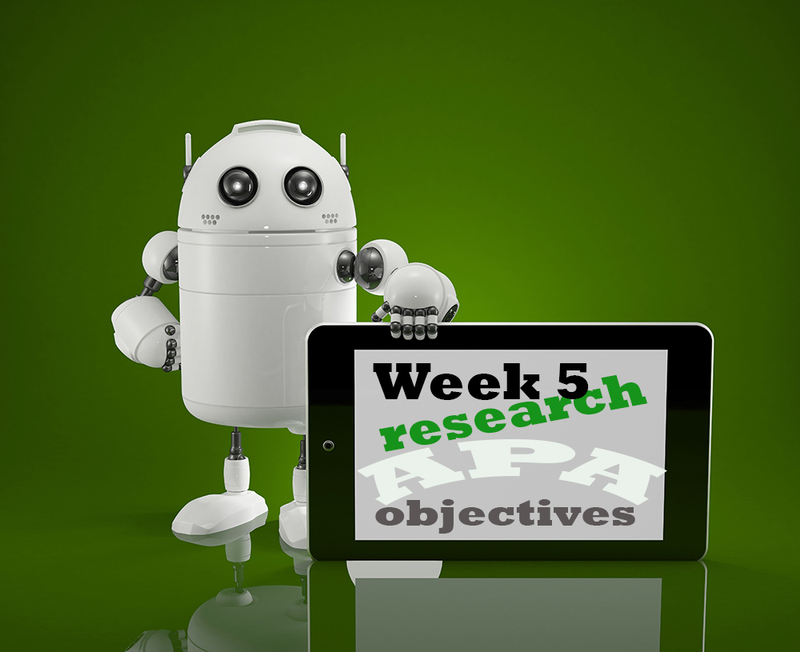 This week’s challenge was to create an instructional goal or objective that was relevant to my work and then conduct research to find articles that could be used to support my instructional goal and help me make a case for implementation. I decided to approach the instructional question with some ideas for professional development for our college faculty. I’ve already done quite a bit of writing and research in MET program using APA style, but it’s always good to go back every once in a while and take on a beginner’s mind with respect to formatting citations and references. Luckily, a lot of my prior learning kicked in and I actually enjoyed that part of the assignment. I’m also now a full convert to the “way of the Google”. Any company that creates a research and search tool right into their free word processing applications is definitely not evil in my opinion. I did not realize this tool was available. It made searching and citing so much easier – I plan to teach my business students how to use Google Scholar and the research tool in Google docs – if they don’t already know. I also decided to get serious about developing a system for searching, finding, and capturing articles that I found useful in my research. I managed to work out a flow of activity that included using Google Scholar, a Zotero plug-in for Chrome, Albertson’s Library search and Google Drive. I’m always on the lookout for ways to apply a systematic (yet inexpensive) approach to handling all the content that passes before my eyes in a given week on the WWW. Two other players in my “mash-up” of information management strategies are Evernote and Feedly. I’m finally finding a combination of applications that actually talk to each other. Feedly, Google Drive and Evernote are becoming the apps I spend the most time using when capturing and organizing information. Here’s a link to my work this week – thanks for reading!